The research aims were to test perception of arterial hypertension and myocardial infarction in hypertensive and normotensive men and women as well as to test perception of arterial hypertension and myocardial infarction as predictors of blood pressure control in hypertensives. 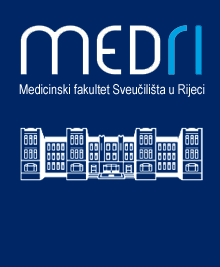 In the research 470 subjects of 4 general practices from Rijeka, Croatia participated, hypertensive group from the list of hypertensive patients without cardiovasular complications and other major chronic conditions, normotensive group from the list of patients without chronic conditions. Each group had 235 subjects, 128 men and 107 women. Perception of hypertension and myocardial infarction was measured as the result on semantic differential questionnaire. Factor analysis extracted evaluation, potency and activity factor. Blood pressure control was interpreteted on the five degrees scale. Statistical significance was defined under 5% (p<0.05). Hypertensive subjects perceived hypertension as less negative and more active, while myocardial infarction was percieved as more potent term than by normotensives. Women perceived myocardial infarction as less negative, and less potent term than men. Both groups perceived myocardial infarction as more negative, potent and active term than hypertension. Normotensive women evaluated hypertension as more negative, and percieved myocardial infarction as less potent than other subjects. Well-controlled hypertension was correlated with a lower potency of hypertension and lower activity of myocardial infarction. Both conditions are perceived as more »male« diseases. As perception of hypertnsion and myocardial infarction is correlated with blood pressure regulation in hypertensives, and hypertension is major risk factor for myocardial infarction, family doctors should put additional effort in changing perception of cardiovascular diseases in their patients, especially in women.